This was a huge transformation, we relocated the dining room and opened the wall. We also relocated a half bath and 2 closets to widen the space. This created an open entertaining kitchen with a large island and casual dining area. We decided to move the formal dining room to an unused space of the house. 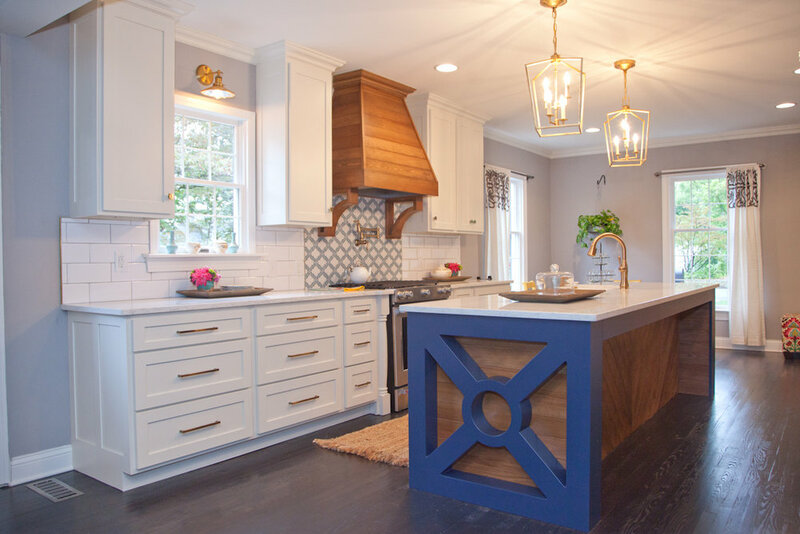 This elegant kitchen has traditional details with touches of vintage style. By using neutral colors and materials this kitchen is current and timeless. This southern influenced man room was one of my favorite projects to work on. My client wanted to create a space for her husband that reflected his love for the south. I found this amazing striped grey marble. I knew cutting the marble at an angle and creating a chevron pattern would make the space amazing.